Ole Jorgen Hammeken has led and participated in many expeditions in the Arctic. Among them are the Dogsled Expedition from Uummannaq to Qaanaaq 1997, The Polar Passage 2000 – a circumnavigation of the Arctic Ocean in a small open boat, The Global Warming Dogsled Expedition 2007 which helped to find an alternative route from Uummannaq and Ikerasak to Ilulissat through the ice-cap, The Euro-American North Greenland Expedition to Peary Land, 2012 Boat Expedition Avannaa in Northern Greenland, 2013 Expedition Middle World in Siberia (Yakutia and Chukotka) and others. Ole Jorgen is a fellow at The Explorers Cub in New York. 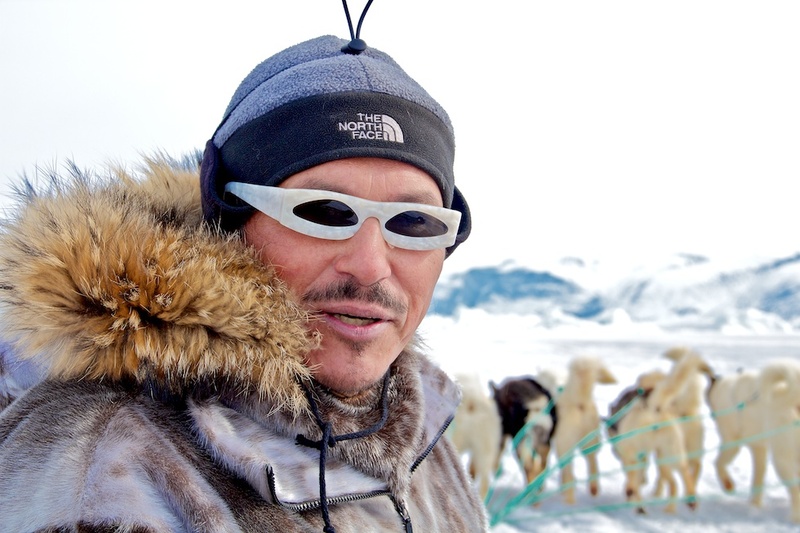 To the general audience he is known as a lead actor playing the Great polar bear hunter Ikuma in the Greenlandic film INUK that has won over 20 prizes at international film festivals. He is also a master story-teller, a journalist and a motivational speaker with a long experience of presenting to international audiences. Following in the steps of her grandfather, a nomadic Komi caribou herder, Galya Morrell spent more than twenty-five years in the Arctic. As a polar correspondent of Soviet Pravda, Galya worked on the Soviet polar drifting stations “SP” (North Pole), lived and travelled with Chukchi, Nenets, Khanti, and other indigenous peoples of the North since 1984. Morrell co-founded a series of cultural projects in the Arctic that aim to revive the spirit of the community and to reduce the epidemic of suicides among the region’s youth brought about by the stresses of abrupt climate and societal change, among them Uummannaq Music, Greenland Week in NYC and Greenland Week in Central Asia. Under the stage name ColdArtist, Galya Morrell explores the limits of the body and the possibilities of the mind in the harsh environment of the Arctic. She works in visual synthetic performance on drifting ice floes, creating carnival fantasias and interactive installations inspired by ancient Arctic myths and legends. Congratulations Galya Morrell and Ole Jorgen Hammeken. You are marvelous and inspiring for all of us! Your Programs and Projects are fantastic and make a difference for a better future for the beautiful People who inhabit the beautiful Arctic! We need more programs like yours to have a better environment, a happy and meaningful life and become the best and profound guardians of this unique and marvelous Planet Earth! Arts can make a difference in the lives of all of us and lead to new ventures of imagination and unimaginable journeys of creativity so crucial for a more sustainable future, happiness and well-being!